Pepper, the first humanoid robot with virtual emotions, went on sale in Japan this summer and is now coming to North America. 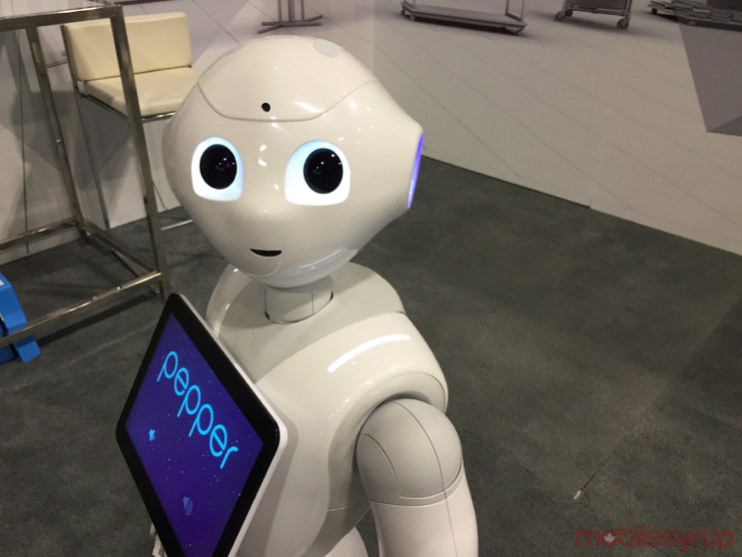 In its fifth year taking over Toronto’s Metro Toronto Convention Centre, Dx3 Canada, the two-day conference that focuses on the future of retail marketing, showcased Pepper in action. Created by SoftBank, one of Japan’s largest telecom companies, Pepper is described as a day-to-day companion with the ability to understand complex emotions such as joy, sadness, anger and surprise. In a somewhat odd manner, Pepper is also able to detect voice intonation and other non-verbal communications, such as the angle of the speaker’s head, as well as what direction they’re looking. Embedded within Pepper’s head are four directional microphones, a 3D camera, two high-definition cameras that function as its eyes, and a number of sensors that allow it to identify movements. My first impression of Pepper left me uncomfortable. I found myself questioning what would cause a company to spend millions of dollars creating a companion robot for a business or home. 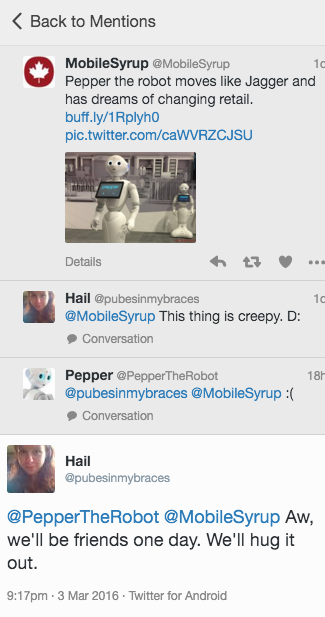 But as I spent more time with Pepper, my level of interaction with the robot increased. I sense this was mainly caused by its human-like features; its head, eyes, arms, hands, and a base with wheels. If Pepper was designed to be a rectangle box, the experience would not has been as engaging. In the middle of Pepper is an Android tablet that helps direct the conversation. But why does Pepper exist? Apart from companies using the robot to help gain a relationships with their customers, Pepper is incredibly attentive to the needs of the person in front of it. Since it’s basically a communication tool, Pepper is able to store a tremendous amount of data that any marketer will likely salivate over. All the interactions that Pepper receives are stored and can in-turn help retailers better understand their customers. SoftBank has installed Pepper within its stores in Japan, and is currently used by over 500 other companies, such as Nestle and Mizuho Bank. 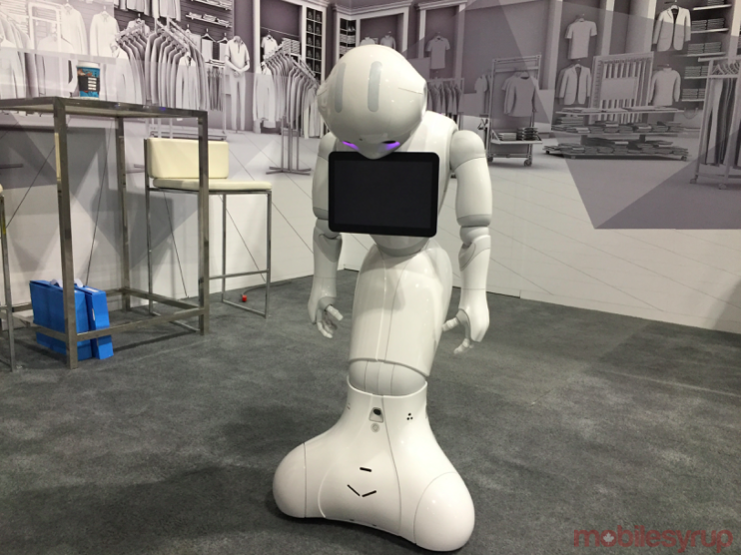 Aldebaran, a SoftBank company, recently began discussing plans to bring Pepper to North America, but no details regarding pricing or availability have been announced so far. 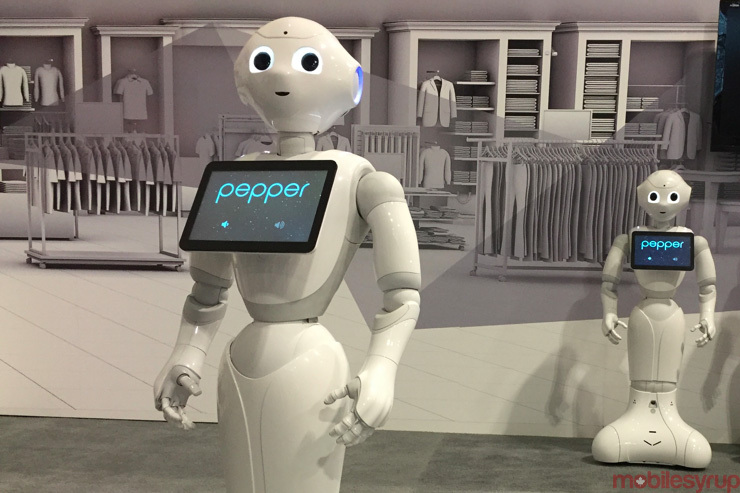 Pepper was created to help give advice, but can also dance, tell jokes, play games, and potentially help children learn a new language. 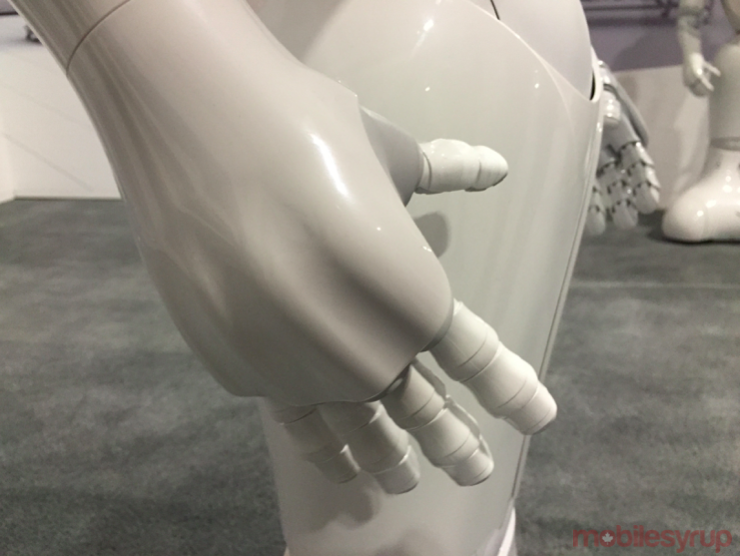 The fact that Pepper can be coded to perform any action is perhaps the scariest part of the four-foot tall robot. Update o3/04/16: Pepper has responded to one of readers in a hilarious fashion.